This week, sip wine in the Carmel Arts & Design District, admire local work at the Fishers Art Crawl and more! 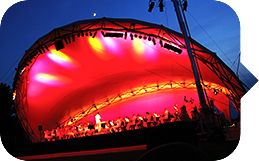 Be sure to check out our online calendar for even more Hamilton County happenings! Join us for an exclusive, after-hours event at the Waterpark! 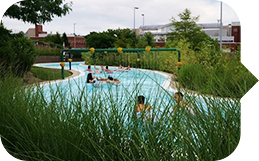 Adults over 21 can enjoy the kids-free Waterpark while relaxing to live music, sipping wine in the cabanas, joining in a friendly pool volleyball game, floating along the lazy river, testing your balance on the FlowRider and more! Alcoholic beverages will be available for purchase. Come out this summer with your family and friends to enjoy a free, relaxing evening under the stars to watch a good movie with good company! 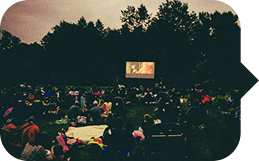 Movies will begin right after sunset, so start times will vary. 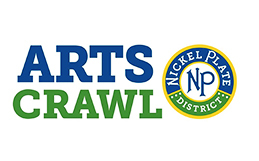 Fishers Arts Council and the Nickel Plate Business Council are teaming up again to host the second Arts Crawl. Residents are encouraged to spend the evening in the Nickel Plate District enjoying local and regional talent before the AMP After Dark presented by Century 21 Scheetz features local artist, Jennie DeVoe. The self-guided art tour begins at 6 p.m. and includes stops at roughly 25 businesses throughout the Nickel Plate District. 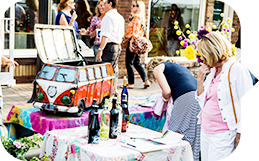 Enjoy a summer evening experiencing vintages al fresco at Art of Wine, a can&apos;t-miss event in the Carmel Arts & Design District. This event features local and international wines, wine-related art, entertainment and special activities. The event is free to attend and adults over 21 are invited to enjoy unlimited wine tastings from participating wineries. 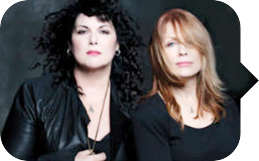 Three of rock music&apos;s most iconic bands will hit the road together this summer on The Rock Hall Three For All Featuring Heart, Joan Jett & The Blackhearts and Cheap Trick. They take the stage at Klipsch Music Center this weekend! 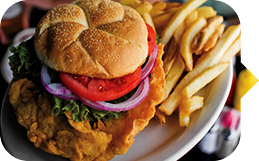 Celebrate the tenderloin this summer by going to a participating restaurant on Tuesdays to take advantage of their specials for this Hoosier food! Don&apos;t miss Tenderloin Tuesdays running July 19 and 26. View the website TenderloinTrail.com for specials from participating Tenderloin Trail locations.